WIT, just before it formally incorporated in August 2003. 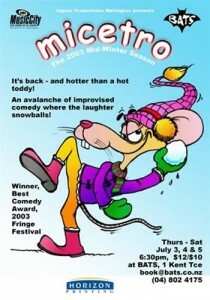 The core players came together 2002-2003, and performed a Micetro that won “Best Comedy” in the 2003 Fringe Festival. 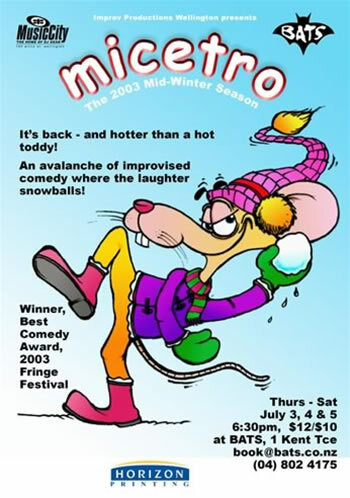 This entry was posted in Micetro, past shows and tagged comedy, improv, improvisation on July 3, 2003 by MaDmin.